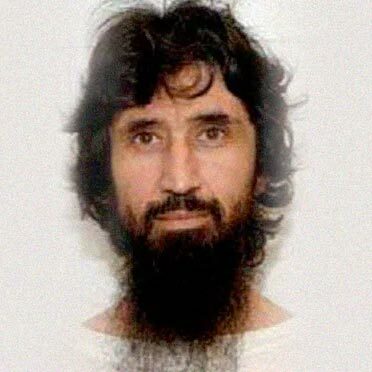 Ravil Mingazov has been held at Guantánamo Bay without charge since 2002. He was born in Russia in 1967, became a ballet dancer with several dance troupes, was conscripted into the Russian army at 19 and first served in the Army ballet troupe. After his conscription ended in 1988, he served voluntarily until 1996 and later returned to the military in the food supply section, where he took over a program which was in “bad shape” and transformed it into a model program, the “best in all the Army’s.” He was rewarded with a watch. Apparently his troubles began when he converted to Islam in the army, amidst general intolerance towards Muslim soldiers. When Ravil asked for fair treatment, such as halal food and time for worship, it was denied. When he sought assistance outside the military, his commanders retaliated, the KGB stepped up surveillance and his house was ransacked. Now married to a Muslim woman and with a young son, Ravil sought a country where they could practice their religion in peace. He traveled alone first to Tajikistan, then to Afghanistan, then fled that country after the U.S. invaded, arriving in Pakistan. He was living in a house for Muslim refugees when the Pakistani police arrived and arrested everyone, apparently because someone in the house supposedly knew Abu Zubaydah. Ravil had no connection with him. The police turned him over to the Americans who sent him to Bagram prison, where he was badly treated. After a Red Cross officer told him that prisoners were treated humanely at Guantánamo, Ravil made up some stories so that the Americans would think he was someone important and send him to GTMO; what he feared most was to be sent back to Russia, as he knew he’d be badly treated there. Later in 2006 in Guantánamo he tried to correct those stories. In the meantime, Ravil is still at Guantánamo. As of January 2010, the Guantánamo Review Task Force had recommended him for prosecution, but he has yet to be charged with a crime. He has not been able to see his wife or son, who have found refuge in Britain. After Shaker Aamer was released, his family started working to push for Ravil’s release to the UK as well. Read more about that campaign here.